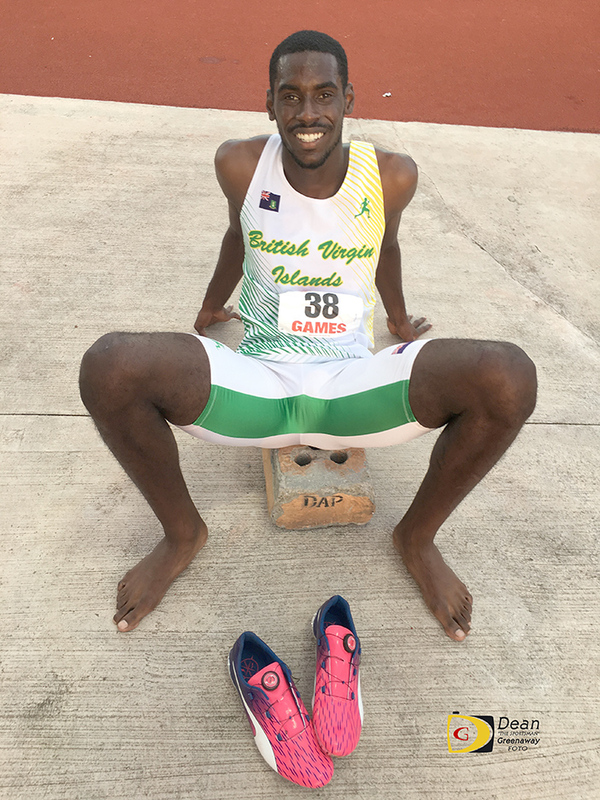 The hopes of the territory getting its first finalist and first medalist in an International Association of Athletics World Championships, lies in the legs of a 20 year old, who has risen to the of the 400m Hurdles pile, with the No 28 mark All Time in the history of the event. Kyron McMaster the No 1 ranked 400m Hurdler, will be the first three BVI athletes in the championships and will swing into actions, when he makes his debut at 6:05 a.m. on Sunday, in London. Fellow debutant Ashley Kelly with face the starter’s gun at 6:55 in the 400m. Chantel Malone will take to the Long Jump runway at 2:10 p.m. on Wednesday. To date, our only semifinalist has been Tahesia Harrigan-Scott, who reached the 100m semis in 2009 in Berlin. In its Aug 1 predictions, Track and Field News has McMaster picked to finish second behind the USA’s Kerron Clement, who handed him his only loss during a July 9 Diamond League meeting on the same track he will run his first race in the championships as a senior athlete on Sunday. Since his last race, McMaster said he has been working on the last phase of his race. As she heads into her final days of preparations, Kelly said she’s looking at putting on a really good show. Long Jumper Malone, in a three way tie at No 28 in the world, is in her fourth championships. She said she’s focusing on executing and competing to the best of her abilities.